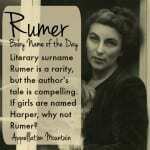 We’re mad about surname names, and lately the literary Sherlock Holmes is a sensation, too. Could this sleuthing surname catch on? Thanks to K for suggesting Watson as our Baby Name of the Day. Sherlock might be too much to live up to. Besides how downright different it is, the name is synonymous with brilliant intellect – and a certain difficult disposition. A trio of leading men are currently playing the legendary detective – Jonny Lee Miller on CBS’s New York City-set Elementary, Benedict Cumberbatch on the BBC’s reimagined present-day Sherlock, and Robert Downey, Jr. in two big screen adaptations, both set in the nineteenth century milieu of Arthur Conan Doyle. Every one of those modern-day Sherlocks has an equally capable Dr. Watson. They’re memorable – Lucy Liu as Joan Watson in Elementary, Martin Freeman in Sherlock, and Jude Law on the silver screen – but they’re also approachable. John Watson was a hero before he met the great detective. A decorated military veteran and medical doctor, Watson is a foil for Sherlock’s excesses. Watson’s medical know-how often contributes important insights to cracking the case. Unlike Sherlock Holmes, John Watson is something of an everyman name. Watson comes from Walter, via the forgotten nickname Wat or Watt. Watkins is his close cousin. Walter was a very popular name at one point in medieval England, so no wonder there are lots of Wat- surnames. The most famous Walter-called-Wat is probably Wat Tyler, leader of the 1381 Peasant’s Revolt. Angry over taxes and working conditions, a band of rebels marched on London. Tyler made it all the way to an audience with the young King Richard II. But something went wrong during their meeting – official accounts suggest that Tyler insulted the monarch. Then again, the only accounts we have are the official ones. Whatever happened during their audience, Tyler left severely wounded and soon died – as did the rebellion. A quick glance through the US Top 100 confirms that we’re all about surname names, especially for boys. Jackson is more popular than John. Mason is a Top Ten favorite. And Hunter, Dylan, Landon, Logan, Tyler, Parker, Blake, Bentley, and Cooper aren’t far behind. Meanwhile, Watson is pretty rare. The name has never cracked the US Top 1000. In 2013, just 61 boys were given the name, down from 82 in 2012. 2012 was a big year for the Sherlock Holmes franchise – it featured both Jude Law on the silver screen as a nineteenth century Dr. Watson, and the debut of Season Two of the television series, with Martin Freeman in role. 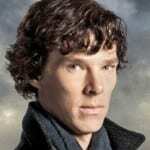 43 boys were named Watson in 2011, 36 in 2010, and just 18 in 2009 – suggesting that Sherlock’s sidekick gets some credit for boosting his surname. The first Robert Downey Jr.-Jude Law movie premiered in December 2009, followed by the BBC’s Sherlock in 2010. Beyond the appeal of the stories, it’s worth noting that W surnames for boys are a promising bunch. Walker and Wilder, Weston and Wells. Watson could be a daring first name that’s nicely on trend – or the perfect middle to honor a Walter. What do you think of Watson as a given name? 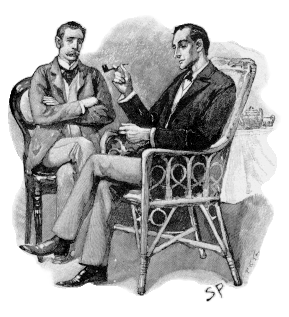 Is the association with Sherlock Holmes a plus – or a burden? We named our son Watson who was born early 2014. We love it and get all positive comments. There’s about an even split of people thinking it’s (a) from Sherlock, (b), a family name, (c) IBM, and (d) the biologist. It is strongly trending up in the United States though still uncommon, from 18 births occurring in 2009 to 121 in 2015. Love Watson. Watts is such a cute nn. Years ago my family fostered a boxer named Watson, so at first I had trouble disassociated the name from the dog… But Watson should definitely be thought of as a alternate for parents who love Jackson & Grayson, but are worried that those names are too popular. I actually like Watson. A little guy called Wat would be cute. Maybe people are put off by the association with IBM and AI technology?